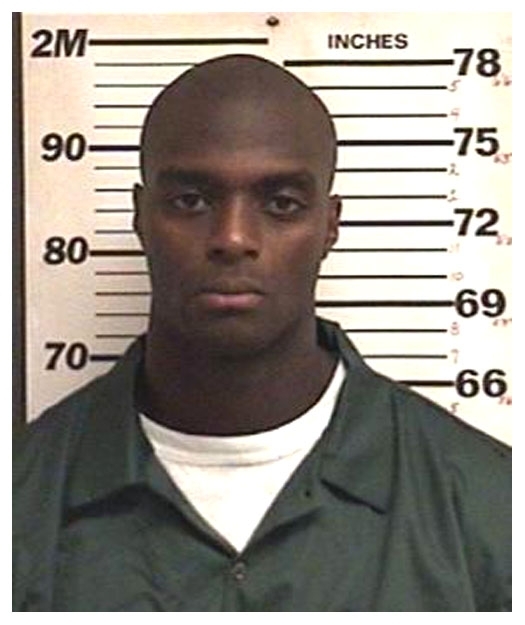 Plaxico Burress, the former New York Giants receiver, posed for the above New York State Department of Correctional Services mug shot in September 2009 after he began serving a two-year prison sentence. Burress, 32, pleaded guilty to felony charges stemming from an accidental November 2008 shooting at a Manhattan nightclub. Submitted by midnightrider on Mon, 2011-02-28 23:46. Submitted by QPop709 on Tue, 2010-08-31 23:17. His thigh is still sore, that's all.